This feature originally appeared in the April 2018 issue of Adventure Cyclist magazine. To receive nine issues a year as well as a host of other benefits, join Adventure Cycling today. Sora has visited more countries than most people. Twenty-four, for those keeping track. Having lived on the streets in her youth after a series of abusive homes, she likely never envisioned such a life of travel, and certainly not from the comfort of a bicycle trailer. I should explain. Sora is my rescued Australian Shepherd. When my partner Dave proposed quitting our jobs and leaving our Portland lives behind to embark on a cycle tour across Europe and South America with Sora, I rejected the idea immediately. I had a new job, and traveling with a dog internationally by bicycle seemed ridiculous. A few weeks later, trapped inside my office on a sunny afternoon, I came around. For a year before our departure, we sold belongings we no longer used, pinched our pennies, gathered gear, and assembled the perfect touring bikes. We had completed a few short weekend tours in Oregon so we felt prepared for the journey that lay ahead. But we had never practiced fully loaded, nor had we rehearsed what packing our panniers might look like, as evidenced by the explosion of bike and dog gear strewn outside the Oslo airport on Day One of our long journey. We had no wifi, no offline maps, no food, and the Google directions I had printed with our route proved about as helpful as a busted bike chain. Yet we stuffed gear into our bags, loaded Sora into her trailer, and set off toward the city center, some 60 kilometers away. Several circles and seven hours later, we finally arrived at the home of our host who welcomed us with hot bowls of soup, a welcome greeting after nightfall brought biting temperatures. We required a week to recover from that one ride, and since that day we have learned a thing our two about packing and mapping. Our adventures together evolved as we became better versed in how best to navigate the journey ahead. In western Europe, we pedaled along divine, well-signed cycle paths that followed German rivers and took us up and over the Austrian Alps. We jumped into the Adriatic Sea in Croatia when 100-degree temperatures impaired our cycling. We entertained Turkish children with a performance of Sora’s tricks during a lunch break. We slept together on the floor of a ferry in Greece when they wouldn’t allow us any other warm spot to spend with a dog on the overnight ride. 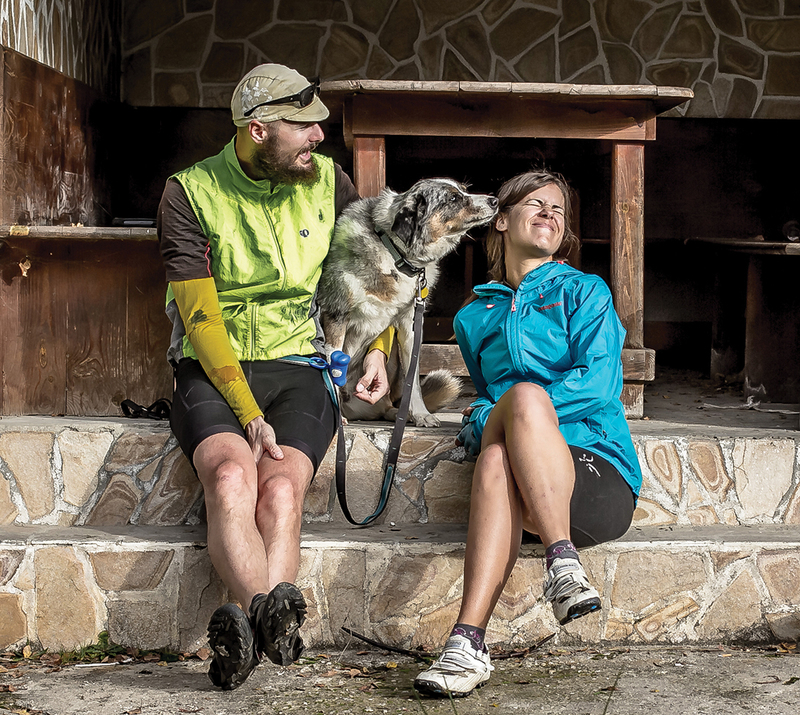 Once we crossed over into the Balkans and later made our way to South America, we adapted to navigate the hurdles that came when we pedaled through lands that don’t view dogs as family members like we do. Traveling with a dog in cultures where people are used to seeing them tied to trees and not as companions forced us to be creative and vulnerable. We easily overcame our first obstacle in Bosnia and Turkey when we feared that we would not be accepted anywhere on account of Muslim impurity laws, which view dogs as unclean. Yet Warmshowers hosts welcomed all three of us into their homes without hesitation, and we were accepted in all public spaces with open arms. A poor Chilean family gave us a bed in their home, fed us meals, and sent us on our way with freshly baked bread when others slammed the door in our faces at the sight of our dog. We convinced a Peruvian bus company to allow us to travel with Sora, but only if we agreed to sit up front with the driver and alight a block away from the bus station. Traveling with Sora meant missing out on excursions to iconic places like Torres del Paine in Patagonia due to dog restrictions. Visiting Machu Picchu was a complicated and arduous feat involving a mix of cycling, a van ride on serpentine, stomach-churning roads, and a 30-kilometer walk along train tracks to return to our bicycles. In exchange we embarked on a bike ’n hike adventure with fellow cycling friends through a canyon to Rainbow Mountain in Peru. Colombian locals informed us of secret waterfall hikes, and we stayed for a week in the home of strangers turned good friends, thanks to our dogs becoming friends on the street. Over our two years of cycle touring, the real adventure came in those cultural differences between humans and dogs. Rather than allowing Sora to hinder our experience, we embraced the challenge with a new perspective and open hearts toward those curious about our furry companion. 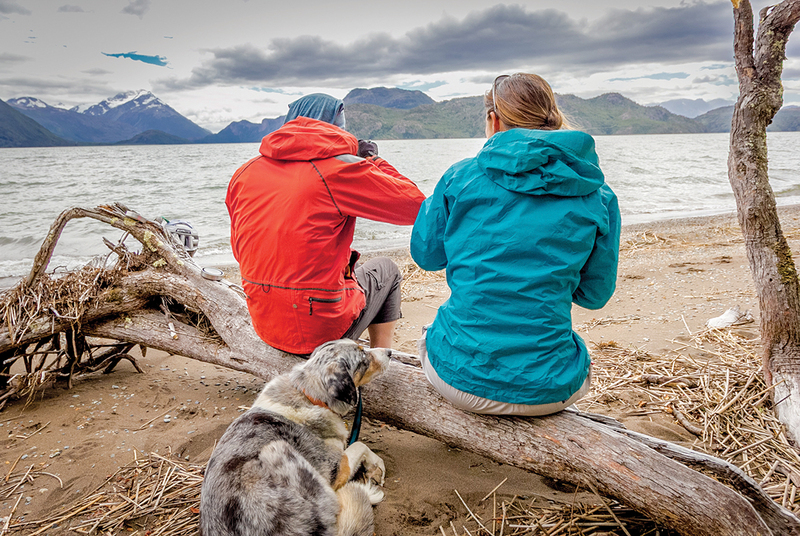 As a couple who lives for active outdoor adventures with trusty four-legged friends, sharing this experience with Sora magnified our journey. We witnessed the force of love that emanates from animals. Fellow travelers found comfort in stroking Sora, reminding them of their own pets left behind. We made friends we wouldn’t have otherwise met without Sora in tow because of the open paths available to us. 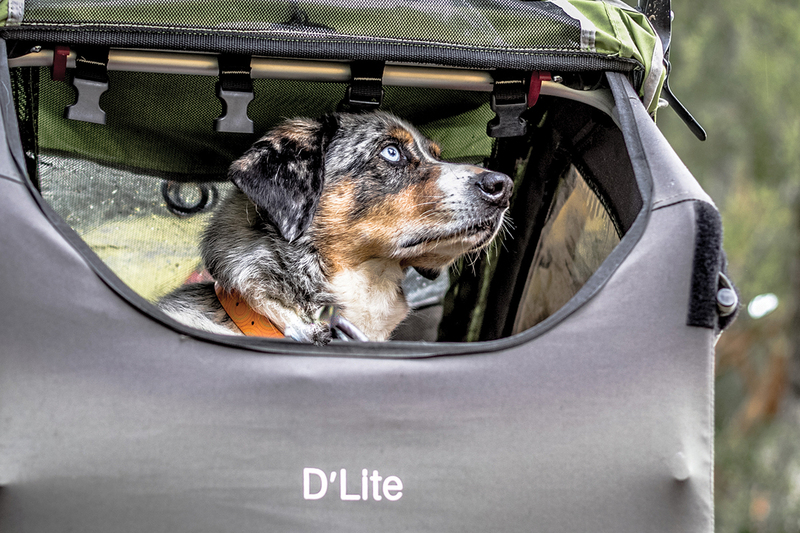 I won’t sugarcoat the physical, mental, and logistical challenges that come with cycle touring with a dog. It most certainly is not always easy, particularly when the travel involves crossing international borders, navigating Andean mountains, and finding accommodations. There is a lot of paperwork involved, regular upkeep on veterinary requirements for each country, and solid skills in convincing skeptical hosts to view your dog as a member of your family. But we made it happen. Leaving Sora behind for this adventure was not up for debate. If we go, she goes. And yet I wholeheartedly recommend bringing your dog along on a bike tour wherever you happen to be in this world, no matter how long or short the tour. Start out slow. Choose a route that works for everyone. Don’t worry about distance or time spent in the saddle. Never leave the dog behind.